Why pay for pricey decorative bows when you can make your own for a fraction of the price? 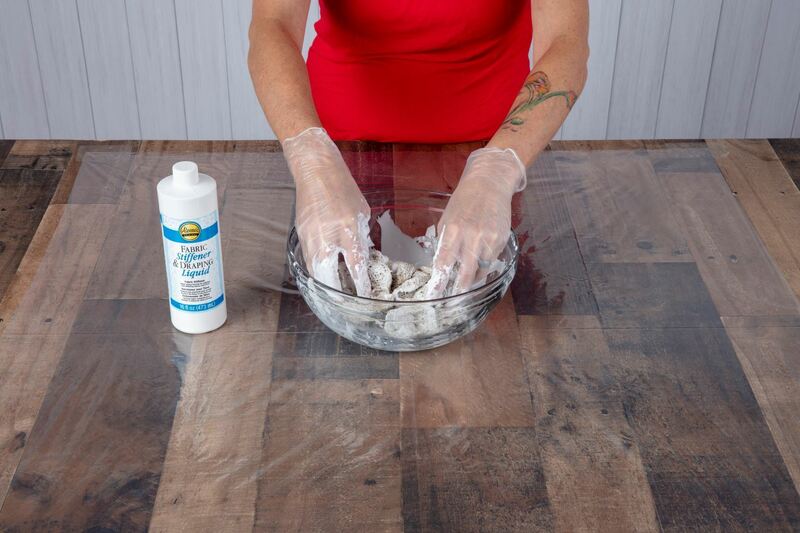 Aleene’s Fabric Stiffener and Draping Liquid not only makes it easy, but fun! It’s a perfect project for not just the holidays as chair décor, but use them in wreaths, tree toppers and garland, but they also make ideal accents for weddings, parties and almost anywhere around the house. 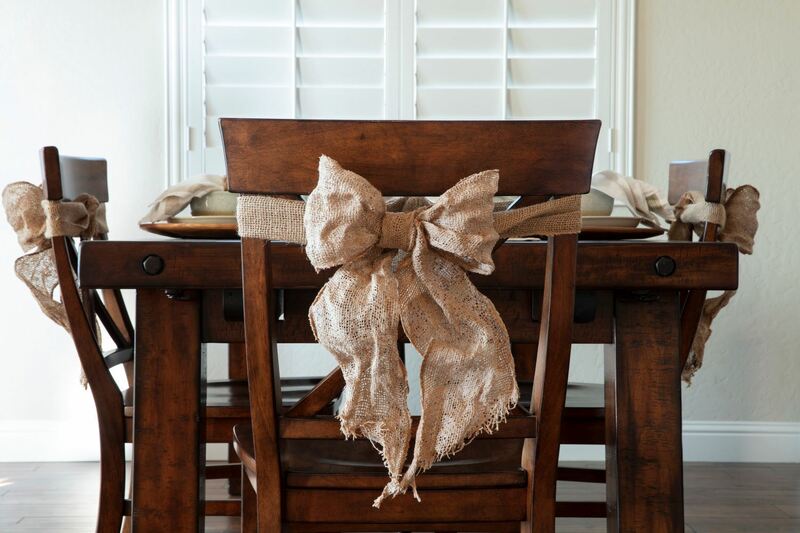 Tie burlap into desired size bows. Pour Fabric Stiffener into bowl. 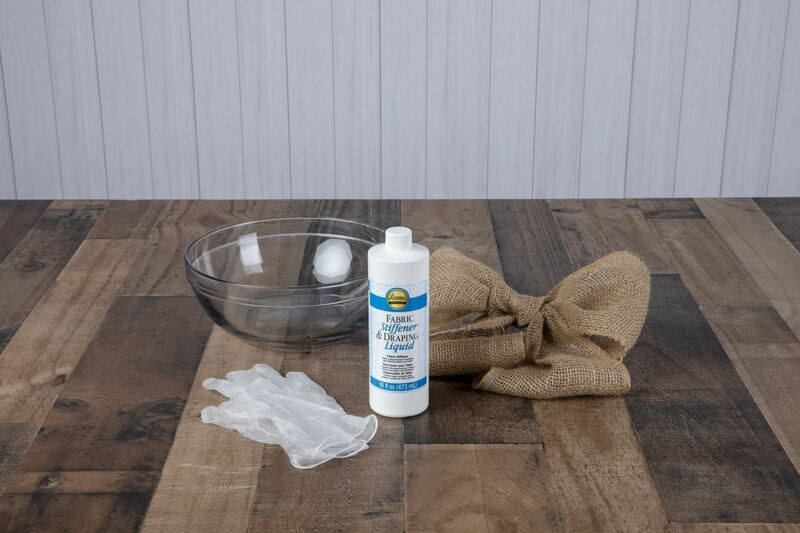 Wearing gloves, press bow into liquid, scrunching and pressing liquid into burlap. Squeeze excess liquid out of bow. Allow to dry. 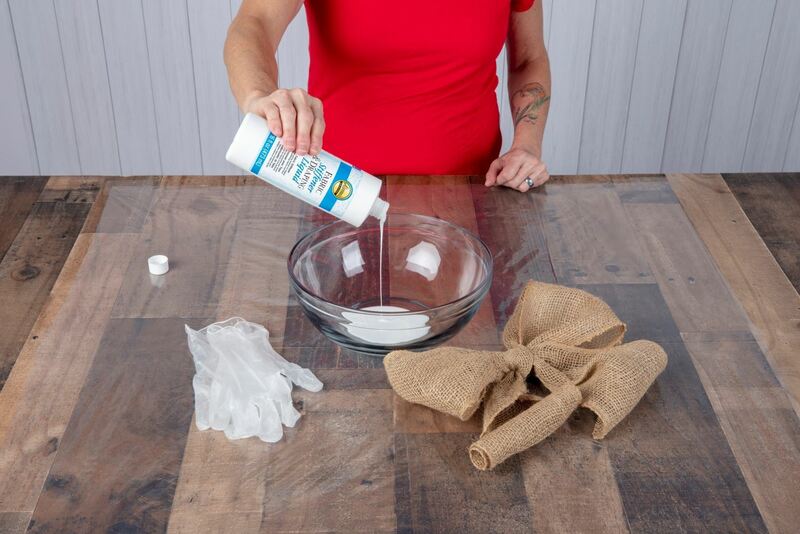 Tip: Use freezer paper to help keep shape of bow while bow dries.